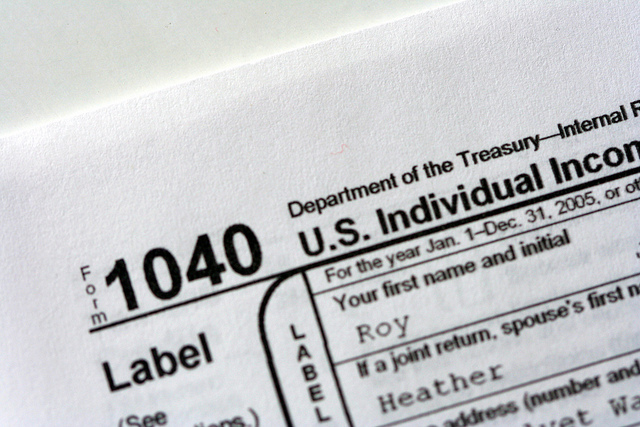 It’s a new year, and that means it’s tax season once again. Between now and the magic date of April 15, millions of Americans undergo the annual ritual of gathering documents, saving receipts, filling out forms, navigating the ever-changing rules and, hopefully, ending up with a refund. If this adventure leaves you scrambling for help, you’re not alone. According to IRS figures, over half of all taxpayers in 2014 paid someone to do their returns, while another one-third used tax software. Unless your taxes are quite simple or you have great numerical and research skills, the tax code is simply too complicated to tackle once per year. This has led to the growth of a massive tax-preparation industry over the past six decades, since the IRS stopped preparing returns for free in the mid-1950s. This is a major purchase with long-term consequences. Start by asking around. Work is a good place to start, since many of your co-workers may have similar tax situations. The Yellow Pages has an entire section filled with practitioners that compete for your business. Interviewing a few of them will give you an idea of their competence, fees and service level. Several national tax preparation companies serve millions of taxpayers, including H&R Block, Jackson Hewitt, Liberty Tax and others. These companies hire mostly seasonal preparers and train them every year on the latest rules and software. All have both new and experienced preparers to choose from. When contacting them, look for a preparer with the experience that fits your situation. Accounting and CPA firms are often open year-round and may provide a range of services, including payroll, bookkeeping, auditing and more. Taxes may or may not be one of their specialties, so prospective clients should ask specifically about their tax practice. Several professional designations are used in the tax industry. An Enrolled Agent is most desirable. This is a person who has passed a difficult exam and is qualified to practice before the IRS. A Tax Attorney is a licensed, practicing attorney specializing in tax law. These two professionals may represent taxpayers with the IRS in case of an audit. They are best hired for handling unusual or complex tax situations and are not typically needed for everyday tax returns. Any competent tax preparer will ask about your personal situation, including marital status, dependents, work, school, home ownership and many other factors covered in the tax code. Since this is sensitive personal information, taxpayers should look for a preparer with whom they feel confident and have rapport. Many tax preparers and offices are available only from January through April. A reputable preparer offers tax help throughout the year, either personally or through their firm. Like other occasional purchases, we choose tax services to take care of an essential need in our life. It is critical to understand that no matter who prepares the return, the taxpayer is ultimately responsible for the results. Look carefully, ask questions and pick the professional that best fits your needs. This entry was posted in Personal Finance, Taxes and tagged personal finance, taxes on February 4, 2015 by Peter D.
I am thinking of starting my own business and would likely need to provide my own tax services. I like what you mention that I should find an option that knows about the latest rules and software. I will be sure to find a tax professional that exhibits the criteria that you mentioned in this post. I was intrigued to find out that work is a good place to start, since many of your co-workers may have similar tax situations. Now that I think of it I have a friend that has been working in the cubicle next to mine for 3 months and has expressed problems similar to mine. I would imagine she could point me in the right direction to find a professional who can help me through our financial needs! I liked when you said to look carefully and choose the tax professional that best fits your needs. I imagine that making sure your taxes are prepared correctly can help you have an accurate tax return form and get the most from it. I would want to make sure I find someone who is not afraid of educating people and who can help me get what I need.